The library has very few audiobooks. 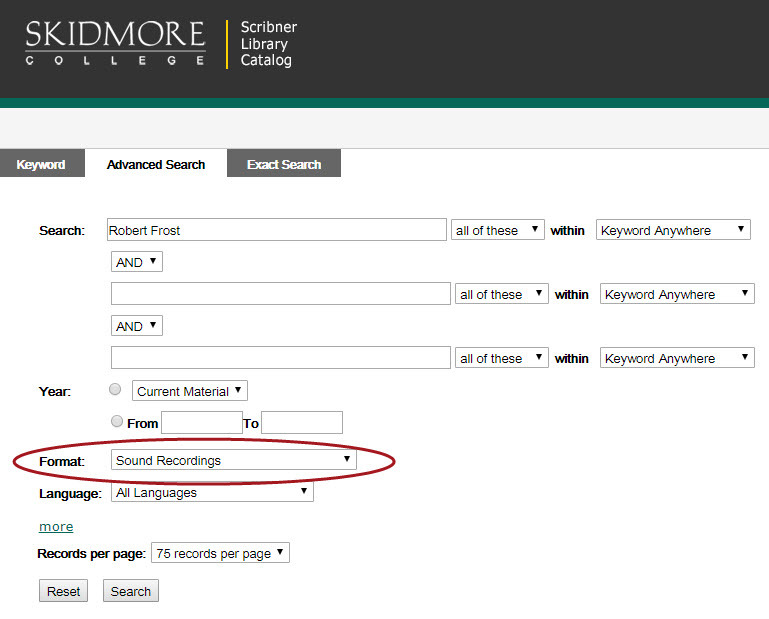 If you'd like to check, search for the author or title in the library catalog and then select "Sound Recordings" from the format field. The Saratoga Springs Public Library has a wider selection of audiobooks on CD as well as downloadable from their Overdrive system. Students are eligible for a public library card.